Dr Helen Butcher, RAL Space, SSTD, STFC’s Rutherford Appleton Laboratory, 17th April 2015. 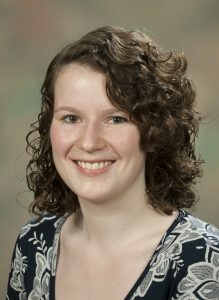 Dr. Helen L. Butcher (née Rogers) obtained her Ph.D in Optoelectronics from the Optoelectronics Research Centre in 2013, under the supervision of Prof. Peter Smith and Dr. James Gates. Her thesis centred on the fabrication of direct-UV written waveguides with integrated Bragg gratings for waveguide propagation loss and dispersion characterisation. Additional work included fabrication of waveguides for physical and chemical sensing, birefringent four-wave mixing and quantum applications. Helen currently works at the Science and Technology Facilities Council’s Rutherford Appleton Laboratories, within the Earth Observation and Atmospheric Sciences division of RAL Space. Based within the Laser Spectroscopy group, her research into mid-infrared photonic components, including waveguide and grating structures, aims toward miniaturisation of laser spectroscopy instruments for measurement of trace gas concentrations. These instruments are primarily for real-time remote and in situ monitoring of atmospheric constituents, such as carbon dioxide and methane, with additional applications in medical, industrial and security sensing.